In addition to “greening” their day-to-day operations, Harvard University has extended its commitment to sustainability worldwide through a partnership with Seeding Labs that dates back to our founding as a student club at Harvard Medical School. 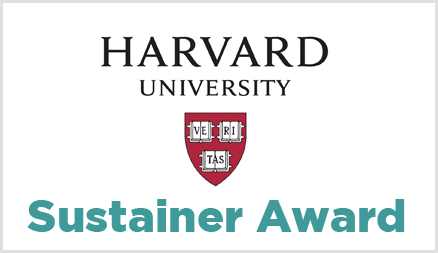 For their longstanding support of Seeding Labs and enduring commitment to global science, Harvard University was was honored with Seeding Labs’ Sustainer Award at Positively Instrumental on March 22, 2017. The award recognized Harvard’s innovative approaches to increasing the environmental sustainability of science. As part of these efforts, Harvard’s Green Labs Program is working with Seeding Labs to make sure surplus lab equipment from the University’s research laboratories receives a second life across the globe. Harvard researchers, students, and staff have invested their time over the years by volunteering, traveling to Kenya to visit partner labs, and critically, donating equipment every single year. By partnering with Seeding Labs, Harvard is utilizing its resources for the greatest scientific impact, both at home and across the globe. 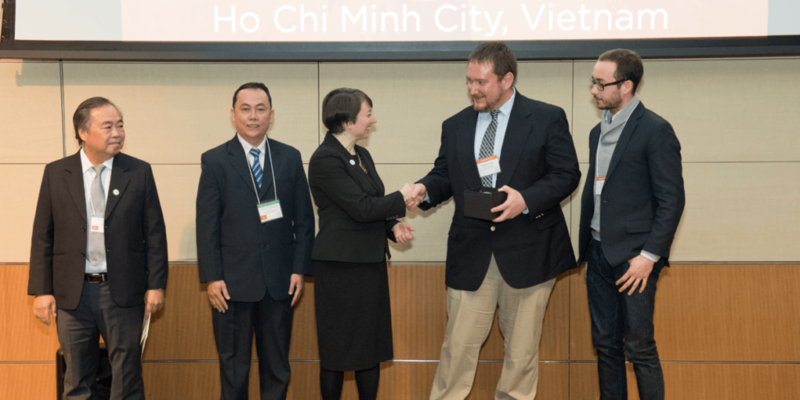 At Positively Instrumental, Harvard University Office for Sustainability’s Quentin Gilly (pictured above, shaking hands) and Adam Meier (far right) accepted the Sustainer Award from Seeding Labs founder and CEO Dr. Nina Dudnik. Dudnik was joined by Dr. Hay Nguyen (far left), President, and Dr. Chung Nguyen (second from left), Lecturer, of Nong Lam University (NLU) in Vietnam. NLU was one of the 2017 Instrumental Access awardees announced at Positively Instrumental that will benefit from Harvard’s support. The university’s Department of Biotechnology plans to use equipment from Seeding Labs to advance research on environmental sustainability and conservation and enhance education for more than 700 undergraduate and 70 graduate students.